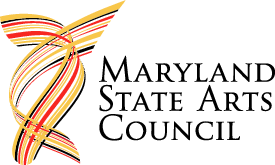 The Maryland State Arts Council (MSAC) is looking for a new Executive Director. MSAC is the largest provider of arts funding in the state, ranks fourth nationally in per capita spending for the arts, and is considered a model state arts agency. The Executive Director manages a staff of subject-area experts; directs the organization’s operation to include budget preparation and administration; collaborates with partners to promote the importance of the arts in Maryland; and has oversight responsibility for MSAC’s major programs and Governor appointed commissions including both the Maryland State Arts Council and the Maryland Public Art Commission. The position is responsible for setting and for carrying out Departmental policies and priorities through the Agency’s programs, services, public information, and through partnerships with federal, regional, and other state agencies and organizations in collaboration with the Council. The Executive Director also acts as the Agency’s chief spokesperson and representative within state government agencies; within corporate, foundation, and educational communities; and both regionally and nationally within the arts industry.